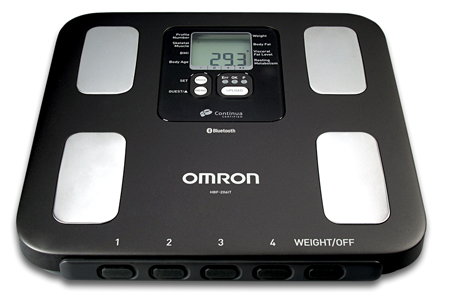 You will need to contact Omron directly to order the Continua certified version of this device. Contact information is included in the purchasing link. Tap the Guest/Memo button. The last recorded measurement will be displayed. Press and hold the Upload button until the viewing pane displays a ‘P’ and a moving circle. The Omron HBF-206IT should be pairable.